I mentioned in a recent post- Not Interested in Shorts? Try a Denim Skirt for Summer, yet I also mentioned that I do enjoy wearing shorts from time to time in the heat. I bought this pair of white denim shorts from Loft last year, and it was time for me to get them out of my closet. In a previous post, I wrote about wearing yellow for your skin tone, and I just love it! It such a cheery, upbeat color for summer. Finally back from visiting at Moms in Pittsburgh- and she has back to Charlotte to then visit with my sis and I. We had such a fun time as my siblings all had been planning a surprise party for my mom, who never got a big bash for her 70th. She will be 74 this year and she had no idea! Our plotted plan, involved telling mom that she was getting ready for a photo shoot, and meeting us at a secret location. Our whole family was there, so she believed it. Working covertly, my sister and niece took my mom to get her nails done, pedicure and makeup while myself and brothers, husband, sis in law, set up for the party. It was such a great surprise! I am so goofy and emotional, I was almost teary eyed when all of her friends yelled Surprise and saw the look on mom’s face! Shannon, my sis in law and I decorated many of the tables with flowers and candle centerpieces, got the wine arranged nicely and made Prosecco grapes ( let grapes soak overnight in Prosecco, dry next day and roll in sugar). All of her friends were there celebrating and we had such a good time. The drive there was 10 hours, home 9, so I am recovering at least before the painters come on Wednesday! Nothing like a pretty new lace embroidered top to get me in the mood for warmer weather. I don’t have a lot of embroidered items in my closet, but when I saw this on Zara, I bought it straightaway! The delicate lace detailing on the sides and bottom, as well as the bright yellow color was too much for me to pass up. 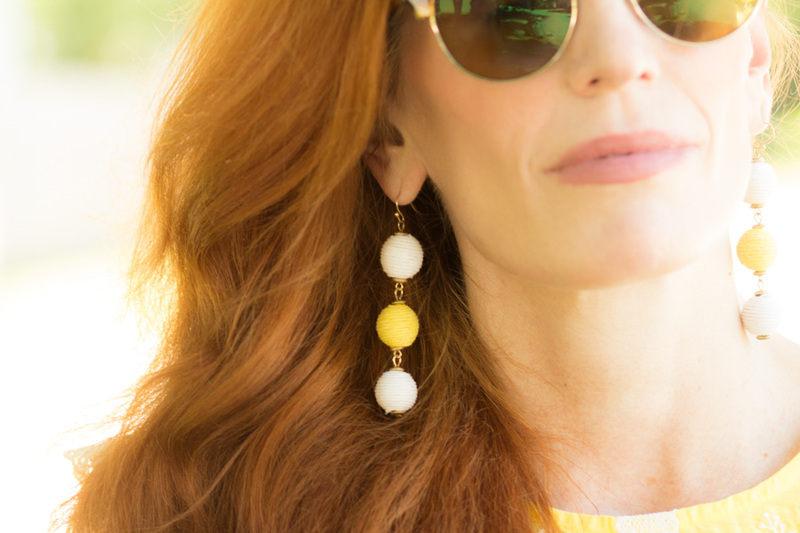 I am making use of these fun statement earrings in white and yellow baubles. I mentioned not all ladies like wearing shorts, but I find that these white denim shorts are fun to wear and go with everything! I could wear slip on sneakers for even more of a casual vibe. White denim and blue denim shorts are showing as an alternative to wearing jeans in the hot months! I don’t know how some girls do it, as I just don’t enjoy the feeling of clothes sticking to me! I am never a fan of the “What women over 40, 50, 60+ should NOT wear….” I have always felt, that women should wear what makes them comfortable and confident. If you are looking for shorts, there certainly are different inseams that most women can be happy with and exjoy wearing. It really comes down to feeling good in your clothes. So if you want to wear shorts, go for it! Linen shorts, with a trouser type feel, are very popular right now, and would keep you cool in the summer months. If you want a longer length, styles such as the Bermuda short are popular with over 40 ,50 ladies. I myself, prefer a shorter inseam, and if you want to show you legs, 4″ or so is a great length. Loft was showing some scalloped detailed shorts that tempt me. I also like shorts a bit lookser, not tight in any way. ( Let’s face it, I don’t wear anything tight!, Why would you? Shorts that have a flat front look stylish, if you feel any pinching or undies bunching, go up a size. I like my shorts comfy on the hips. These are a size 2 boyfriend style. I am a 4 in most shorts.Besides denim shorts like the ones I am wearing, there are chambray ( a light denim material). They give the look of denim but are lighter material. You can see me wearing them in this post- CHAMBRAY EMBROIDERED SHORTS. TURNING HEADS LINKUP – TIME TO PARTY! LETS JOIN IN AND LINK UP! PLEASE COMMENT ON OTHER BLOGGERS 🙂 AND THANK YOU FOR YOUR COMMENTS! My mom is visiting this week, so I will do my best to visit. Have fun! Do you enjoy wearing shorts in the summer? What style or length do you prefer to wear? I’ll be back with the featured ladies next week. I am on my way back to Charlotte, after visiting my mom in Pittsburgh. Mom is visiting for a few weeks. Ill do my best with visiting blogs. THANK YOU FOR YOUR WONDERFUL COMMENTS AND LINKING UP! IT MEANS ALOT TO ME! 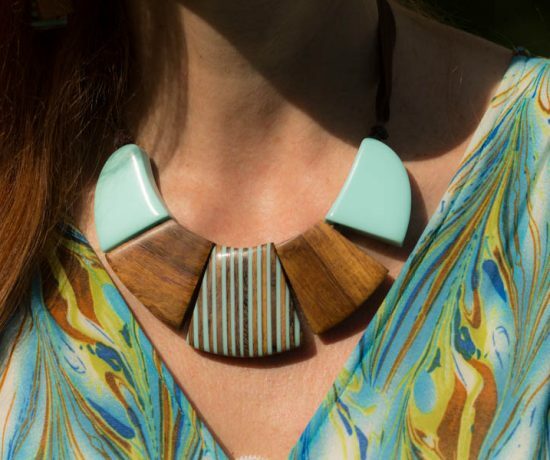 Patterned Top: Styling from Day to Night+ Fabrizio Gianni Giveaway! Beautiful outfit! I am so inspired with these looks. These are the best ways to style up with denim shorts. I can’t wait to try this. Thanks a lot for sharing. Love the yellow and white outfit! So pretty!!! Yellow is such a nice shade on you and I love the lace mixed with it! Some colors just look so good paired with white and those white shorts really work! I also love those neutral sandals and the cut outs on the front. That top has such pretty detailing, and I love the shorts on you! What a gorgeous top! And I love it with these shorts! You always put together the best outfits. whata perfect, airy summer look! Love the lace details on this top! The white denim shorts are perfect with it too! Thanks for hosting and have a fabulous week! That top is so pretty! I love the yellow and lace combination! Your wedges are super cute too! Also just curious what type of lens you use to get the blurred background on your images..I STILL dont have the right lens and need to get one..someone told me 35 mm for Nikon.. Anyway take care my friend! Jess, that top is just GORGEOUS! I can’t believe you got it at Zara—it looks way more expensive! I am personally not a big fan of shorts on myself but if they work for you—and they do—then I say go for it! Such a pretty pale yellow and the embroidery is beautiful. It looks great on you and I love it with you white shorts. Your eyelet jacket was shipped out yesterday so you should recieve it by tomorrow or Thursday. I hope you like it! Such a very pretty blouse! Beautiful shade of yellow and the lace and embroidery make it extra special. I really like it styled with the relaxed denim shorts and sandals. Your mom’s surprise party sounds like such a wonderful time. I am sure she loved all of the attention and love from her family and friends. I wear everything lose, so of course I love these shorts. And that shade of yellow is beautiful on you! What a great surprise for your mom…how fun! You look fantastic in shorts. Me, not so much. I would wear that adorable top with capris though! Love the embroidered detail on it. And your earrings are fab. Such a lovely look and I do adore yellow. I think the key with loving shorts is making sure the length is right for your own comfort. This blouse is gorgeous!! Beautiful look! Oh wow, I love this look! That top is gorgeous, and it looks great with those shorts! I agree about the shorts rules. A few years back I thought my shorts days were over. Thank God I got over that notion. We should not limit fashion by age! Your Mom’s surprise party sounds like so much fun…glad you were able to pull it off! I agree 100% about wearing what we want. It’s so hot here and I can’t imagine not wearing shorts or dresses. I love chambray and the shorts you are wearing are so cute with the feminine yellow top. Great outfit! What a wonderful surprise for you mom!! It’s sounds like such a fabulous time!! I love your outfit especially the shorts. I just bought some this weekend. It’s funny because I find myself wearing them more now that I’m older than I did 10 years ago!! I must be getting bolder…LOL!! Your shorts are lovely, but your pretty top is my favourite piece! 🙂 I’m with you, I can’t wear jeans in summer, too hot and humid! Skirts or shorts for me! Hope that you are having a lovely start to your week! I’ve lost my voice so it could be better here, ha! 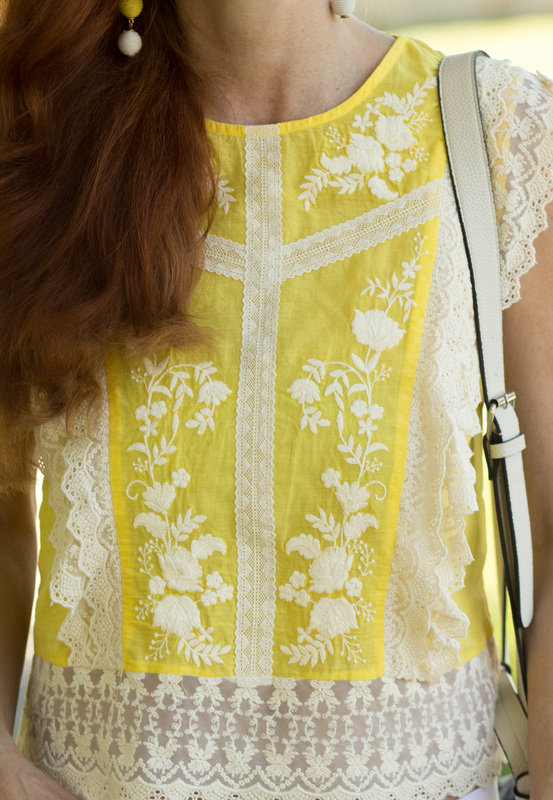 Your yellow lace top is a show stopper! It’s a beauty to behold and love that the color is vibrant and bright! That is such a nice surprise to have for your mom. I am sure she is still reliving the shock of it and of course, the memories! I love family get togethers. They just keep your heart full and there’s nothing that can go wrong. It’s so comforting and wonderful to know all those you love and care for are there. So pretty lady and such great legs for shorts! What an amazing surprise for your momma . She is super blessed to have such sweet and thoughtful kids. I would have loved to see her face! Jess, this top is so pretty! I love the lace details and this yellow is spectacular on you. And the earrings are the perfect match! Such a great summer look! Hello supermodel! Jess you rock these shorts with those long, beautiful legs of yours! I can see why you didn’t hesitate to order that top – the detailing is so feminine and pretty. Love that y’all surprised your mom that way, what a wonderful idea. It was genius to tell her she was going to a photo shoot – I hate when the guest of honor has no idea about the surprise party and they show up under dressed and wishing they knew. I’ll have to remember that! We went to a surprise party over the weekend and that was the case – the guest of honor thought she was running errands with her daughter not coming to a fancy dinner party – oops! I think this outfit is perfect. I love wearing linen shorts in the summer. I do love your pretty lemon blouse Jess and it is so good with your white shorts. What a lovely surprise party your family planned for your mother’s birthday. 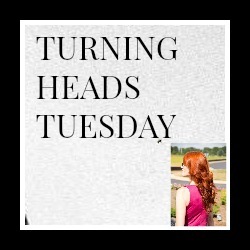 Many thanks for hosting Turning Heads Tuesday. You’ve got such great legs. It would be a waste not to wear shorts. What a lovely surprise! Great shorts Jess!